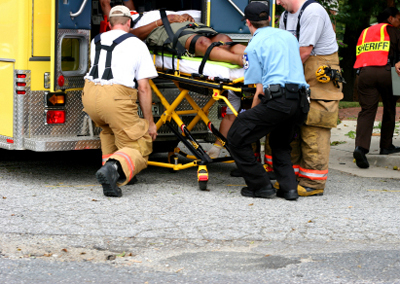 We represent victims of All Auto Accidents and other Injuries. Personal Injury: We are committed group of skilled personal injury lawyers and professionals, focused on the representation of the seriously injured victims of car accident, general negligence, premises liability, assault/negligent security, construction accidents, slip & fall, and false arrest. We are dedicated to helping people who have been injured because of the fault of someone else. Every day we answer questions like: If I am hurt in a car accident in Michigan who pays for my medical bills? Can I sue the driver that caused the car accident? What rights do I have if the other driver was drunk? Do I need a personal injury lawyer for my injuries? Can I afford a personal injury lawyer? If you have been injured as a result of general negligence, it is important that you are aware that you may be eligible for significant financial compensation. We have represented many people who have been hurt as a result of negligence of others. The Consultations is free, and you do not have to pay unless we collect on all personal injury cases. 4- The appointment of a personal representative for the decedent's estate. Car, truck, motorcycle, or other vehicle accidents. Wrongful death actions can be very complicated, as the wrongful acts of several parties may have contributed to an individual's death. Pre-trial, out-of-court settlements are common in wrongful death cases, because most defendants want to avoid the publicity of having caused a death. When such out-of-court settlements occur, a reduction of the wrongful death damages award issued by a judge or jury will also occur. Thus, if a plaintiff settles a claim against one defendant, the plaintiff's recovery from any other defendant is thereby reduced. Additionally, the plaintiff's release of one defendant frees that defendant from liability to contribute to any other defendant, and waives his/her claim for any contribution from co-defendants. In other words, the released defendant is out of the action, and the remaining defendant(s) will pay no more than their comparative share of the culpable conduct as found by the jury. 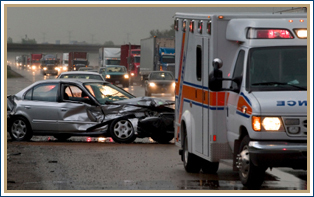 Auto Accidents: Auto accidents can cause a number of financial and medical burdens. More serious accidents can result in severe physical impairment and even death. If you are involved in a car accident in Michigan, then you need to update yourself on Michigan No Fault law, and also “First Party” No Fault law, which shed light on your right to wage loss; attendant care; medical bills for life; replacement services; mileage reimbursement; and Third-Party basics. Every no-fault auto policy is required to provide wage loss coverage in case you are injured in an auto accident and are unable to work. A victim may obtain 85 percent of their pay for up to three years if a doctor has determined the injuries obtained in the accident prevents the victim from working. Money obtained for wage loss reimbursement is tax-free. Also, the amount of wage loss recovery is reduced by 15% for taxes and is limited to a monthly maximum (currently $4,070 per month). If your income exceeds the monthly maximum, you may wish to consider additional wage loss coverage to make up the difference in case of a disabling injury. Regardless of fault, your auto insurance policy must provide coverage for all reasonable and necessary medical expenses incurred as a result of an auto accident. Under Michigan No-fault auto insurance law, companies are required to provide nursing services or attendant care if a doctor says that they are medically necessary. If injuries are serious, doctors may order supervision and assistance for prolonged periods of time, sometimes around the clock. Problems with auto insurance companies paying for attendant care often arise because of a lack of firm guidelines indicating how much the insurance company must pay for these services. Individuals are sometimes hurt or injured on property that is owned or controlled by someone else. Often it is possible recover monetary damages from the property owner to cover medical expenses, lost wages and pain and suffering. Medical Malpractice is the failure of medical professionals to provide adequate treatment to patients resulting in a personal injury or substantial loss of income. semi-truck accidents account for a majority of horrific injuries related to automobile accidents. The unique circumstances and laws surrounding trucking accidents can be cause for complicated liability that will require skilled legal counsel. Product Injury- defective products, including drug and medical devices, may cause serious personal injury to unsuspecting consumers/patients. To understand your legal rights and the far reaches of your claim, it is important that your case be thoroughly investigated. Motorcycle Accidents- motorcycle accidents often result in severe consequences to its rider and their passenger. Because insurance companies often attribute some form of negligence toward the operator of the motorcycle, it is important to know your legal rights. Burn Cases- burn victims not only must rely on perserverance and dedication to ensure they return to optimal health, they must also ensure that their rights are protected throughout the long recovery process that often accompanies their injuries. Medical Malpractice- a doctor, his/her staff, and the facility in which they practice can often be the setting for medical mistakes, thus making them the defendant in a malpractice claim. It is important to know that these cases are often complex and require a large amount of time and resources to pursue. It is important that a victim of a medical mistake retain experienced legal counsel. Brain Injury- due to the number of congitive after effects associated with brain injuries, it is important that the victim and their family not settle their claim with the negligent party until their case has been thoroughly examined by a highly skilled law firm. Dog Bite Injury- an owner(s) of a dog that injures another person can often be held liable for any personal injury the victim may sustain. These injuries may also include the psychological trauma that often accompanies animal attacks. Prescription Drug Injury- defective drugs, and those with serious side effects, that are the subject of a drug recall can cause serious personal injury to an unsuspecting victim. It is important that you and your loved ones be aware of your rights and the possible recourse that is available to you should you suffer the after effects of a prescritpion drug injury.